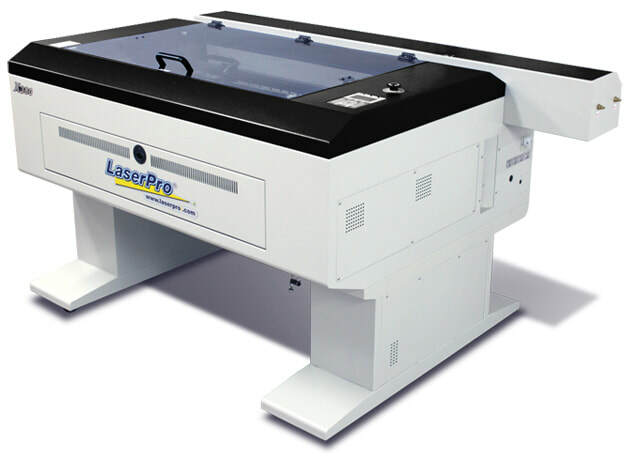 ArtStudiosBCoT is equipped with a GCC Laserpro X380 laser cutter, which has a cutting capacity of A1. Please read through our Laser Cutting & Engraving Terms & Conditions before submitting a file to be cut. Our laser cutter is capable of cutting and etching many different materials, including acrylic, card, MDF, plywood, fabric, natural leather and more! ​We sell a range of materials within the department. For more information on permitted materials and materials that we sell on-site, please contact our laser technician for advice. We advise bringing a small amount of material to test a small portion of your file on your chosen material first, before embarking on a larger project. Please allow enough time during the first part of your laser cutting session for sampling. Please visit our file guidelines page for more information on creating a digital file to be cut or engraved on our laser cutter. Need to brush up on your CAD skills? We offer Photoshop & Illustrator workshops to teach you the necessary skills for creating laser-friendly files. 2. Our technicians will access the file and recommend how much time to book and if the file requires adjustment. 3. Once our technicians have approved the file and recommended how much laser cutting time to book, please visit our online store to purchase cutting time and pay for file adjustment fees (if necessary). After purchasing laser cutting & engraving time on our online store, we will be in touch shortly to arrange a suitable time to cut your files. Our laser workshop is open weekdays from 9-5.